These special cables are designed and built to make connections to your DCS simple and easy regardless of how the field cables are terminated. There are versions to connect to field terminations via a FTA’s (clamshell version), pluggable terminal blocks (BLZ, 5.08 version) or individual blocks (Flying lead versions). 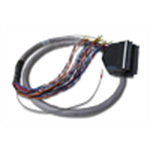 A range of field termination assemblies (FTA’s) include discrete and analog versions. Some versions will feature disconnects and test points. 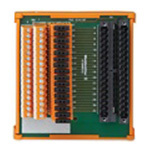 Weidmuller offers a full line of terminal blocks with pluggable connectors. 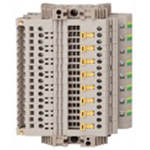 These terminal blocks have been custom kitted in eight configurations. Detailed cable specification drawings including in wiring tables, wiring diagrams, bills of materials and engineered drawings are provided. Also included in each file is the model number creation key for each marshalling cable.